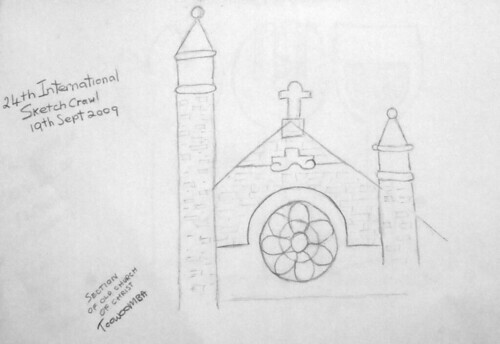 The day of the International Sketch Crawl was the Carnival of Flowers day in Toowoomba. 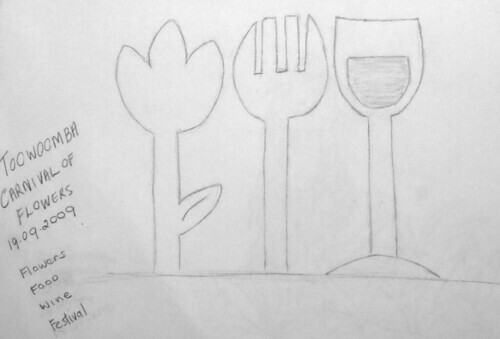 It was warm and sunny day so I looked for garden type of things to draw. The flower design on the old church caught my eye and the simple flower, food and wine concept of the festival. There were plenty of flowers to chose from in the gardens. 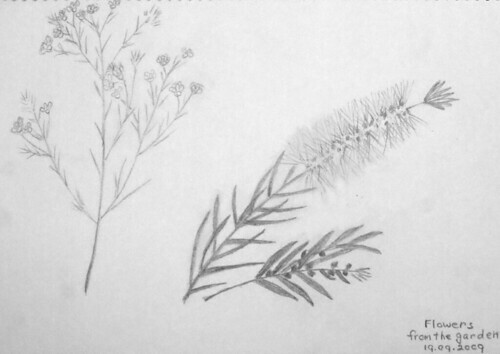 The bottle brush and geraldton wax were good specimens. 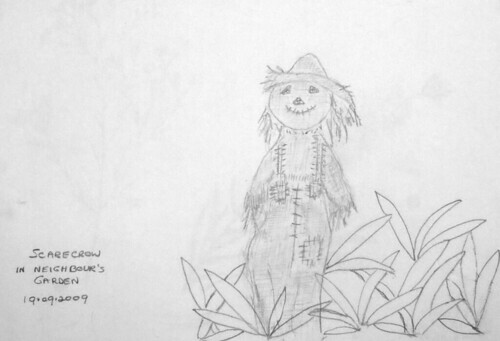 The scarecrow was close to home and begged to be drawn. Lovely sketches . I really like the close up of the flowers as they have great detail. But I think my favourite is the scarecrow as he has so much character. I love your flowers & church building. Way to go! --- welcome to your first Crawl, Lola! Thorsten - what's a hey-puppet ?